Home / Cricket / IPL / Why are you Interested in Cricket and IPL? Well if I had to reason it out in a single sentence, I would say that it’s just because I was born in India. Particularly if you were born in the 90’s in a country called India, it’s beyond your human capability to avoid the game. Me being the youngest kid in a joint family, with elder cousins being total cricket fanatics; loving cricket was never an option, it was rather an inheritance. 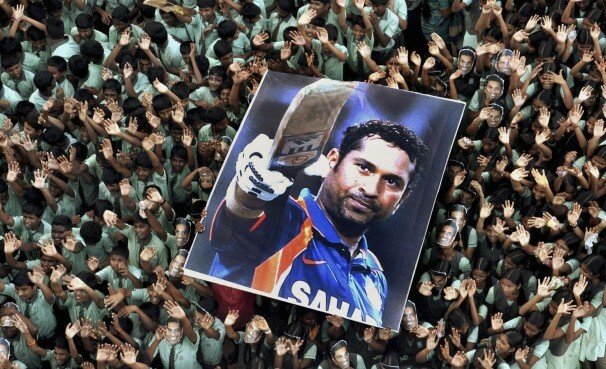 “Cricket is our religion and Sachin is our God”, the now popularised saying, I had experienced much before I could hear or fathom it. While growing up, we saw the photo of Sachin next to Lord Rama, so worshipping Sachin came as naturally to us as worshipping Rama. My love for the game grew faster than I did. The mediums to feel the game changed from radio (Yes I have experienced that too. We had the idiot box but it was the power cut that made us tune to radios) to the colour Television; the sheer visuals inadvertently made blue the holy colour for all of us cricket aficionados. Then came the revolution called T20. Yes, I call it a revolution as it totally changed the game like never before; not only in ways we play but also the way we watch the game. Everything became fast, tough and margin for error got reduced to nothing. The most underrated department, i.e., fielding started to amuse the ever-excited spectators. And then came the Indian Premier League (IPL), the experiment which proved to be spot on (Lalit Modi would definitely have ran naked in his bedroom shouting Eureka seeing its unprecedented success). Any sport is about rivalries and IPL reconstructed these like none other. Who could have imagined the old rivals Sachin and Ponting playing for the same team, and Gambhir and Dhoni becaming the new hot rivals. These just added new flavours to the old dish which left me craving for it even more. The rules changed, players changed, format changed but what has remained intact is the love and the craziness for the game we all collectively share in our sighs and highs.